Brooks Canine Training Service, LLC is owned and operated by Mark Brooks, a certified professional dog trainer. Mark had a passion with dogs from a very early age. This passion began working beagles and coonhounds with his father. Then he turned to training and competing with pointing dogs in AKC hunt test and field trials. Mark graduated from the renowned National K-9 School for Dog Trainers. After graduation, he was employed at National K-9 School for dog Trainers as an instructor. As the head trainer at National K-9, he taught students from all over the world to become professional dog trainers. 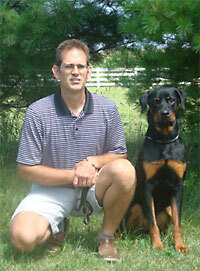 In 2000, he left National K-9 and started Brooks Canine Training Service, LLC. He has experience in a wide range of dog related disciplines including: obedience, police canine work (bite work, criminal apprehension, and scent detection), physical assistance, and search and rescue. 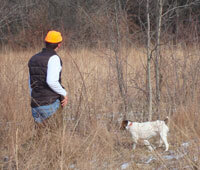 Mark's current focus is obedience training and pointing dog training for hunting and competition. Mark has trained hundreds of dogs to be great companions in the home or in the field.